In October 2016 - Formula E hit the streets of Hong Kong for the very first time, an event that attracted the imagination not only for locals but from motor racing fans from around the world. 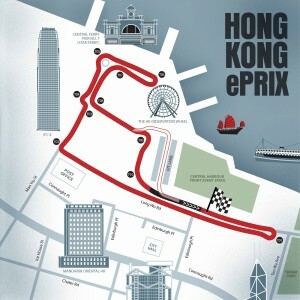 Combine the excitement that Formula E can offer and the fact that the main streets of Hong Kong Island are turned into a race track incorporating the stunning backdrop of one of Asia's most iconic cities means that this event is unique within the Formula E race calendar. Atlas Group Travel will once again be organising packages to the 2017 Hong Kong Formula Event and we are now taking advance registrations. Call us on Freephone 0800 999 65 66 to register your interest. Packages to this exciting sporting event will be organised through our very popular 'Tailor-made Service' that gives our customers total flexibility and choice and the freedom to have a package designed to suit their very own personal requirements and more importantly at a price that they feel comfortable with. Why book with us: With over 25 years within the Sports Travel Industry organising travel packages to a number of major sporting events including Lions Tours, Ashes Cricket Tours, a selection of Soccer and Rugby World Cups and Olympic Games to name but a few. But more relevant to this event; for the past 7 years we have been arranging Official Supporters Packages to the prestigious Hong Kong Rugby Sevens and in that time not only have we become one of the UK's leading suppliers but we are now Cathay Pacific's biggest UK Tour Operator for the event. The knowledge of Hong Kong that we have gained in that time is second to none and we have also built a successful working relationship with a number of quality hotels and suppliers that really does give us the edge over other Tour Operators. Because of our standing within areas of Hong Kong tourism we have been invited to promote the cities Formula E race and will have access to a selection of Race Tickets and Hospitality - that will be sold to our customers at face value. Our 2 centre options below were created for our Hong Kong Sevens packages and only meant as a guide. You can easily incorporate any of the options within your Formula E package. * Return International economy flights from a choice of airlines and departure airports. * All known Airline taxes, Airport & security charges at the time of booking. 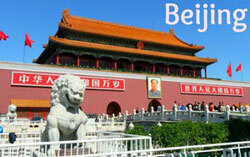 * 4 Nights Accommodation in a choice of hotels ranging from basic right through to the best 5 star. * Standard level event ticket to the Formula E.
* Services of an Atlas Group Travel Representative in Hong Kong. * VAT and Local Hong Kong Taxes. * Race ticket upgrade and/or hospitality options all at FACE VALUE. * Daily breakfast. (Unless otherwise included). * Single room occupancy. (Triple rooms available at certain hotels to eliminate single supplement). * Extra nights accommodation available. * Private Airport / Hotel transfers in Hong Kong. 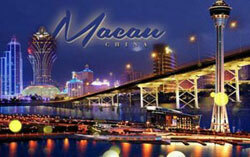 * 2 centre option package such as Hong Kong with - Macau, Beijing, Shanghai, Phuket or Vietnam.